North Leeds and the surrounding areas are a fantastic place for bringing up children and there is plenty going on for children. Baby swimming with Water Babies is an exciting, enriching experience for both you and your little one. Not only does it teach vital life skills, but it also enhances the way babies and toddlers learn other skills, too. No one else reaches our high standards of professionalism, and no one else works harder to make sure you and your little one feel happy and safe. And we always incorporate lots of bonding, fun and socialising, so you can be sure that a Water Baby is a happy baby! Learn how to harness the soothing, nurturing power of massage at our baby massage classes in Harrogate, Guiseley and North Leeds. In addition to helping you and your baby relax, massage is a great way to relieve common ailments like wind, colic and constipation and helping you and your baby to sleep. Baby massage can also provide a real neurological boost to your baby, helping to promote brain development, whilst strengthening the parent/baby bond. Over the four-week course, you’ll learn the best ways to massage your baby, including a range of strokes, when to massage, how long to massage for, and how to adapt your massage to meet the needs of your baby. 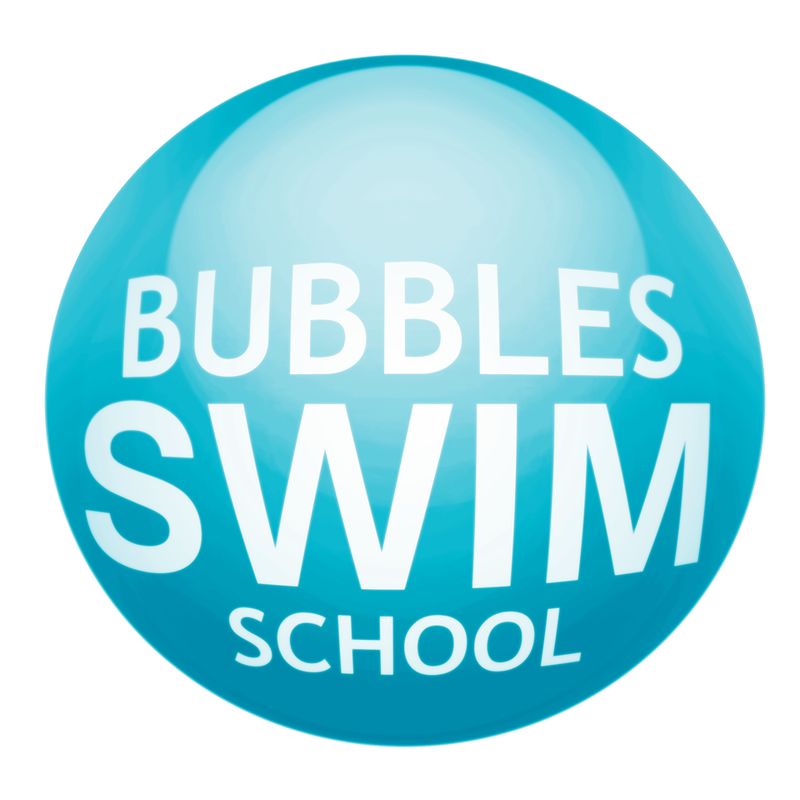 Bubbles Swim School runs swimming lessons for children aged 2 upwards across 5 different venues in Leeds. Run by husband and wife team Glenn and Lucy, and supported by a team of 5 experienced instructors, you can be sure that your child will receive excellent tuition in this very important life skill. Glenn has over 30 years experience in teaching children to swim and is present at every session to teach and oversee all classes. All of our instructors are Level 2 qualified, hold a current life saving qualification and have DBS and safeguarding training ensuring your children are always in safe hands. Small swim classes with water based instructors ensure children get the most out of every lesson and make excellent progress whilst having lots of fun. Daytime beginner classes for pre-schoolers (age 3.5+) – Monday mornings @ Moorlands School, LS16 5PF, Tuesday mornings at Scholes Primary School, LS15 4BJ and Friday afternoons at Temple Moor High School, LS15 0PT. 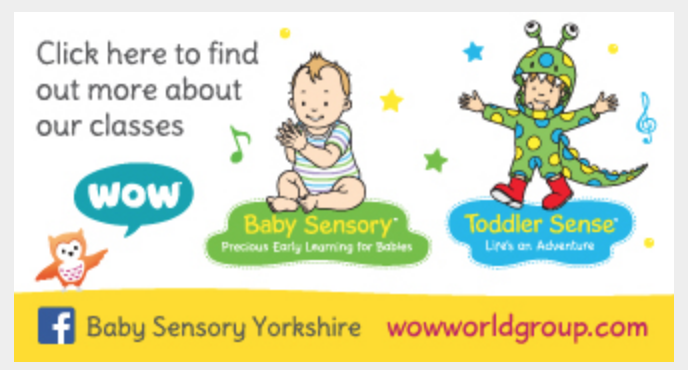 Group lessons (all abilities age 3.5+) – Monday, Tuesday, Thursday, Friday, Saturday evenings and Sunday mornings at Moorlands School,LS16 5PF, Wednesday and Friday evenings at Temple Moor High School, LS15 0PT, Sunday afternoons at The Grammar School at Leeds, LS17 8GS, Sunday evenings at Woodhouse Grove School, BD10 0NR. The saying goes that you’ve not been to a kid’s football class until you’ve been to Catalan! We get kids of all levels to fall in love and stay in love with football through our inspiring weekly classes and holiday camps. We operate with small class sizes and professional coaching with plenty of 1-1 time available for when children need that little bit extra. Expect to see inspiring content and an exceptional level of teaching, all in a warm and friendly family atmosphere. Find Us: Catalan Soccer, Goals Leeds, Redcote Lane, Leeds LS4 2AW. 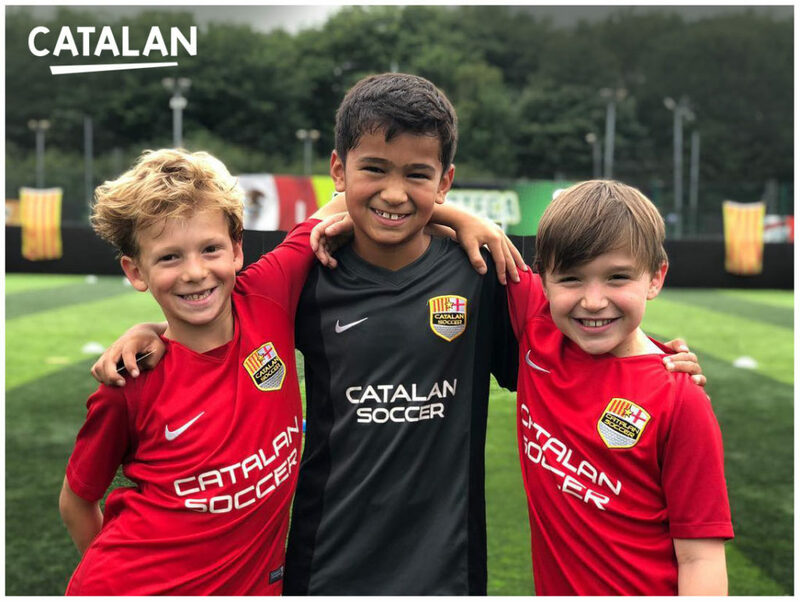 To find out more or book a space please visit www.catalansoccer.com. For general enquiries call 0113 8730129. Flutterbabies is a local company providing fun, nurturing and relaxed courses in baby massage, yoga, signing and swimming. Classes are structured around your baby’s development and are flexible and adaptable to work at a pace that you are both happy with. Our teachers are passionate about encouraging babies and their carers to bond, socialise and spend fun, quality time together. Learn to communicate with your baby through nurturing touch and massage. Benefits include relaxation, bonding and colic relief. Learn to communicate with your baby or toddler before they have the ability to talk. Based on British Sign Language, we teach signs relevant to their daily routines, enabling them to express their needs or thoughts. Our carefully structured courses promote safe practices and water confidence in a fun and positive environment. The classes are child led and we never do any forced underwater swims. Contact: Classes held every weekday in venues across the Leeds area, please get in touch for more details. 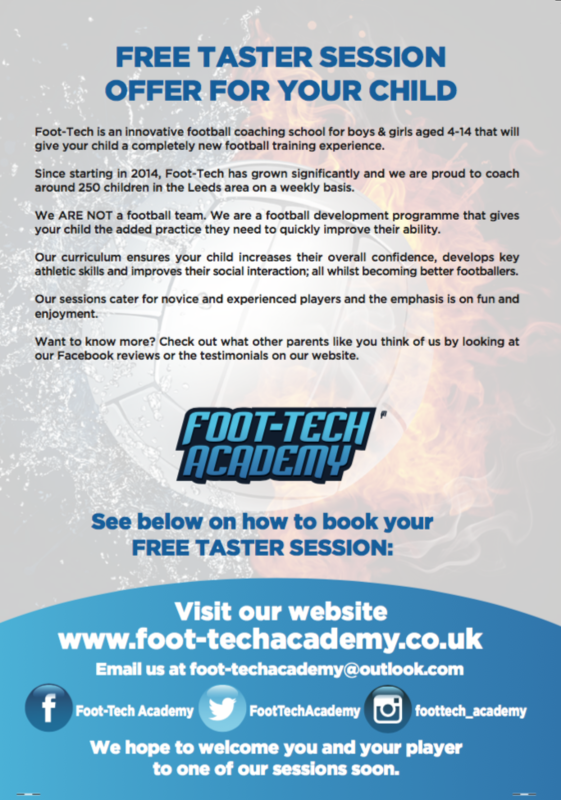 Foot-Tech is an innovative football coaching school for boys and girls aged 4-14 that will give your child a completely new football training experience. Nearly 3 years in now and I’m nearing 3000 kids, big and small, taught to ride a bike for the very first time. As a National Standard, British Cycling accredited Instructor for Bikeability Levels 1, 2 and 3 I can get anyone riding in a fun and friendly way. I am also a Qualified HSBC UK/British Cycling Level 1 Ride Leader… and also being a British Cycling Level 2 Coach also helps… with plenty of tricks and resources up my sleeve. I can get your little ones started on a life of two wheeled fun and adventures from mastering balance bikes to proper pedalling to school or for weekend exploring. If they are already riding and need to brush up on their skills/got a new bike, then an hours 1:1 tuition is perfect too. Kids shouldn’t have all the fun though so I can get you, a friend or a whole gang of pals pedalling too. Whether you’ve never even sat on a bike, you’re just a bit rusty or you want to take your skills and cycling confidence to the next level for commuting, fitness or just fun I can teach you how to ride happily, healthily and safely wherever you want. Decades as a super keen rider and test consultant to the UK’s best selling bike magazines means I can even help you choose the best equipment, learn how to plan routes that suit your needs and ride them with you if that helps. I’m fully insured through British Cycling, a qualified Emergency First Aider and have a full and complete Enhanced DBS certificate. Read Mumbler’s review of The Magic Hour here. LittleLions-Rugby is a fun play programme based on non-contact sports skills for girls and boys aged 2.5 – 7 years. The programme encompasses rugby specific skills such as running with the ball, kicking and catching, finding space and scoring a try, developing basic core motor and social skills within a team environment. We offer a full and exciting morning for the children which they all thoroughly enjoy, not to mention it gives the parents/Carers a time to relax before taking up the reins again for the rest of the day. 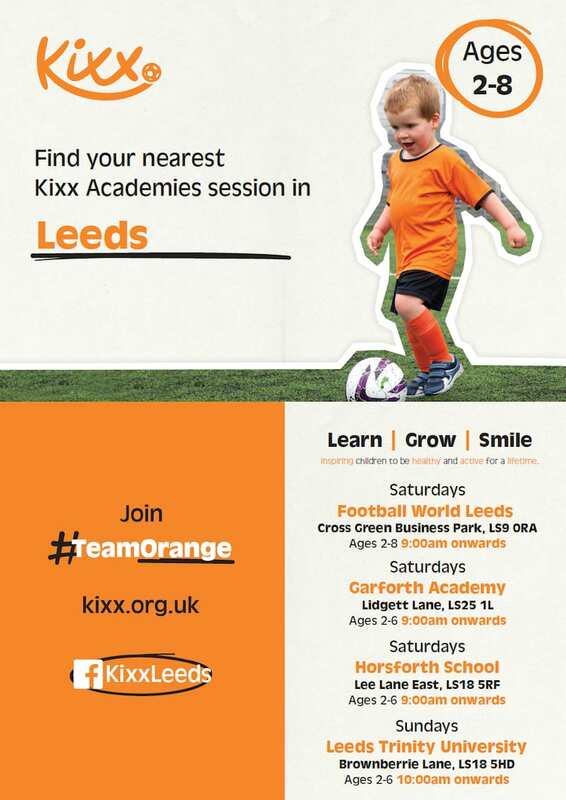 The Kixx Leeds programme offers a high energy, fun, age-appropriate introduction to physical activity through football. The programme has been carefully designed for both boys and girls 2-6 years of age. The innovative curriculum emphasises both the physical and social development of children. Our goal is simple: To have a positive impact on every child we serve! 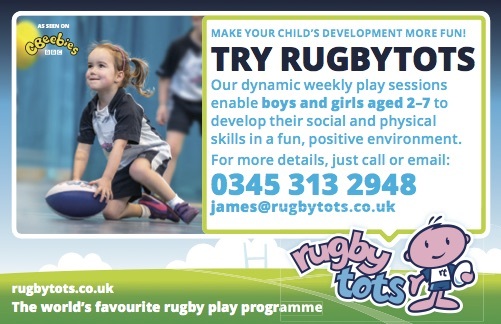 **FREE Taster sessions available, please email james@rugbytots.co.uk for locations and times and to book on. 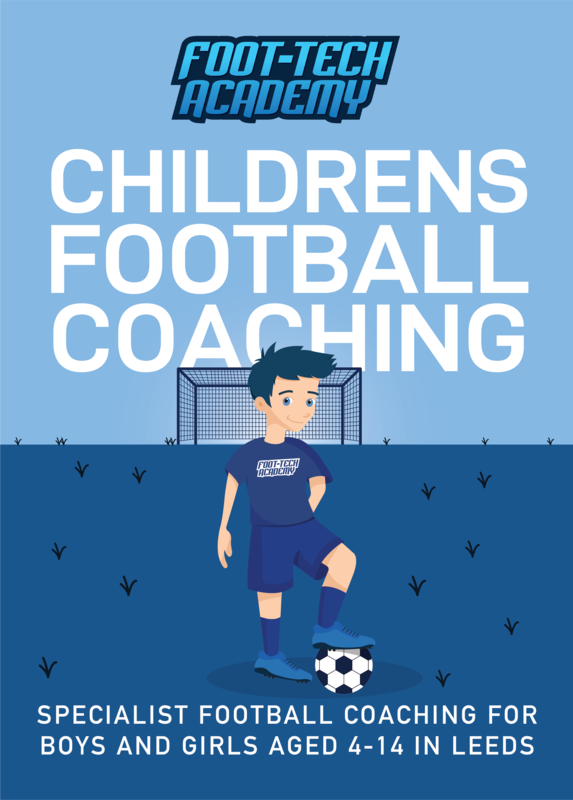 Fun, structured play sessions take children on a journey of sporting imagination with engaging and energetic coaches supporting them every step of the way whilst teaching how to catch, pass, kick, run with the ball and play as part of a team. Deliver a specifically designed programme for each age group with energy, enthusiasm and excitement. Age 2 – 3.5: Youngest classes require full parent participation and offer a fantastic opportunity to spend quality time with your child whilst they learn new skills, meet new friends and have an exciting introduction to Rugby. Age 3.5 – 5: These classes do not require full parent participation. Your Rugbytot will be part of a dynamic session that will develop their social and physical skills in a positive environment. Age 5 -7: Older age group classes really start to prepare children for life after Rugbytots. The same structure is followed but these sessions involve advanced team games and ensure that the basic skills of rugby are coached in the right way by maintaining small class numbers. 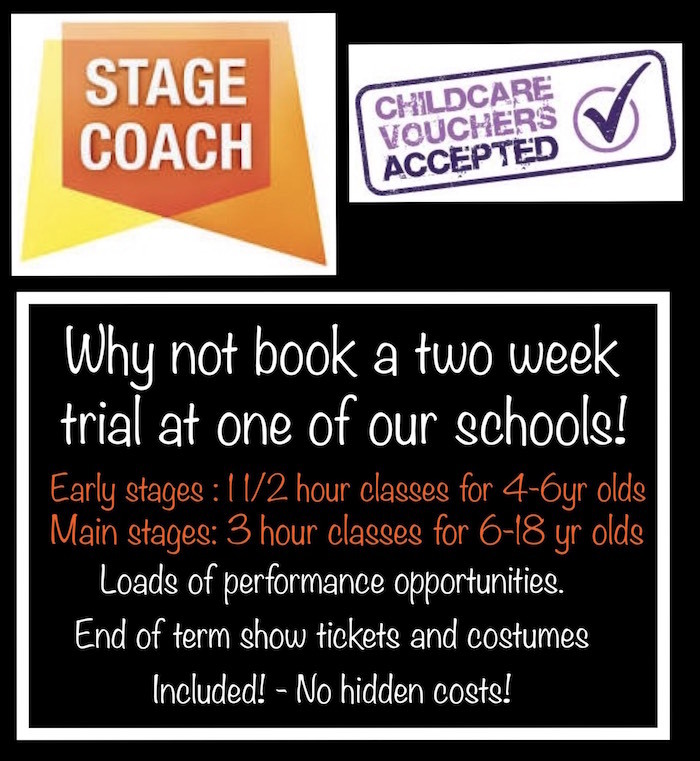 With over 30 years experience Stagecoach Leeds Alwoodley and Horsforth provides children 4-18 years with the opportunity to participate in all three performing arts disciplines – drama classes, dance classes and singing classes – helping to develop confidence, physical awareness, communication and articulation – as well as being educational and lots of fun. The Little Gym of Leeds offers progressively structured classes and a positive learning environment to create opportunities for your child to try new things and build self-confidence, all with a grin that stretches from ear to ear. Trained instructors nurture happy, confident kids through a range of classes like parent/child classes and gymnastics, plus fun extras like parties, camps and more. Preschool dance classes for children aged 9 months plus – fun and informal dance classes, teaching the basics of ballet. Bikeability is ‘cycling proficiency’ for the 21st century, designed to give the next generation the skills and confidence to ride their bikes on today’s roads. BOOMCHIKKABOOM offers a fresh, unique approach to having fun with children, toddlers and babies. From Family Raves, Messy Playa Events, Cinema Experience, Workshops and Festivals you can expect a party like atmosphere, good music, soft play, pom poms, instruments, parachute fun and enough bubbles to cure any signs of the terrible two’s! Check the Boomchikkaboom website here for details of weekly special events throughout Leeds. Parent and toddler sessions are for toddlers to grow in confidence, and have lots of fun! Parents must accompany the toddlers in the arena, instructors are on-hand throughout the session. Monday – Friday 1pm -3pm, term time only. Recommended age 2.5- 4 years. Saturday – Family Toddler Sessions, 10am. Ieal for families with toddlers under 4 but older than 2.5 years, other family members over the age of 4 can climb in these session too. Dancebugs is a great introduction to dance, using stories and imagination the children learn fundamental skills. Balance, co-ordination and rhythm are all learnt in a fun based class. Age range is from 3 to school age. First class is a free trial. Lively, exciting, funky toddler dance, creative movement and music classes for 18 months to 5 years with props, lights, bubbles and lots of fun. All devised to improve listening, self-control, gross and fine motor skills and confidence. A friendly fun dance school offering expert tuition in ballet, tap, modern, musical theatre, cheerleading and commercial dance. Children taught from age 2 upwards. Believe that all students, irrespective of initial ability, should be given the opportunity to grow and develop. Classes run Mon, Tues, Fri & Sat at Alwoodley Park Methodist Church. Tel: 0113 217 6873 for more information. 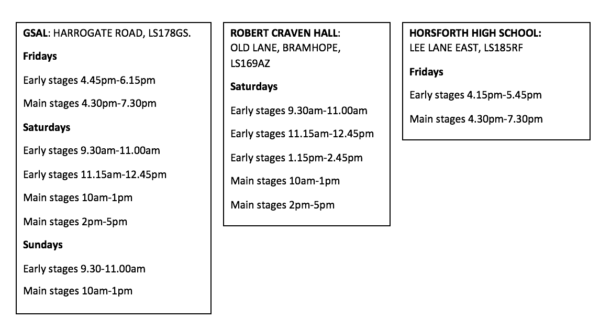 Elevations Academy Leeds hosts over 50 classes every week for Children and Adults of all ages and levels in Chapel Allerton. The school is fully registered with the Royal Academy of Dance and the International Dance Teachers Association. Students have the option of taking yearly examinations with these worldwide organisations. All our classes are child led and we never do any forced underwater swims. Everything is done at a pace that both you and your little one are happy with and sometimes babies will progress differently within each class, but our classes are small and allow us to adapt to suit. Classes at Scholes Primary School (Mon, Thurs, Fri, Sun), Mercure Leeds Parkway (Thurs, Fri), Bramley (Mon, Sat), Monk Fryston (Tues). A family run school offering Ballet, Tap, Pointe and Jazz to children 3+. For girls and boys aged 2- 6 years with pathways to teams and league games. A safe and fun environment to encourage children into football. Fun French and Spanish classes for children aged 0 – 11 years old in venues, nurseries, schools and private homes. Using Makaton, games, stories, drama and songs we inspire little ones to love languages. Contact: Anna Fisher on 07872344296. Kirkstall Valley Woodchips is an outdoor group where 3-6 year olds can learn all about nature in a hands on way through exploration and outdoor activities. The group meets on Saturdays at 10:30am at Victoria Park Grove Pocket Park (Lilac Pocket Park, Victoria Park Grove, Leeds, LS5 3DR). Toddler’s time (under 5s) to experience everything the big kids love about Freejumping. A football specific play programme for boys and girls aged 18 months to 5 years. Children will have a ball each for the the majority of the session and develop essential skills such as balance, co-orindation, social skills and much more in a fun environment. Classes run on a Saturday morning at Abbey Grange School. Spanish classes for children of all ages. North Leeds Music Centre runs over 50 different music classes and ensembles for children and adults on Saturday mornings. Activities range from early years and toddler groups to advanced senior orchestras, and everything in between! PQA is a weekend performing arts Academy providing tuition for children and young people from 4-18 years. Students spend three hours with us, rotating through hour-long sessions in Comedy & Drama, Musical Theatre and Film & Television. Students are split into groups according to their age and are taught by specialist teachers. Offer a high standard of swimming tuition in a safe environment for children of all abilities from 4 years of age. Aim is to produce confident safe swimmers with the skills required to enjoy water based activities. All lessons are taught in small classes by experienced, water-based swimming teachers. Rugrats Kids Rugby is a non-contact rugby specific play programme for boys and girls aged 2-7. Your child will experience rugby skills such as running with ball, finding space, catching, kicking, scoring a try as well as working in a team and taking turns. Dads’ Group meets monthly on Saturdays (usually the first Saturday in the month), 10.30am – 12noon. 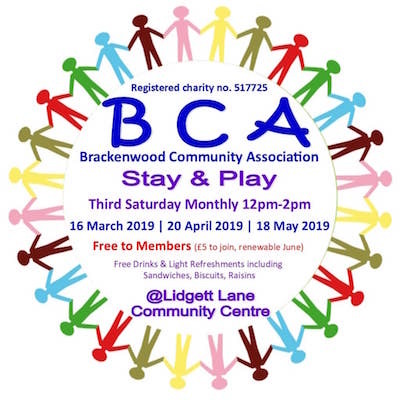 This is a great time for dads and toddlers to meet up, play and chat over coffee and bacon butties. SOCATOTS’ teach basic movement patterns, balance and motor coordination. Most importantly, we ensure that physical activity is fun. Everything we do is centred around helping children develop first as people, then as sports enthusiasts. Saturday: Roundhay School, Old Park Road, Leeds, Yorkshire, LS8 1ND. Set in the heart of Chapel Allerton, The Little Bookshop is Leeds’ only independent children’s bookshop. The Little Bookshop is a place to explore literature and illustration with your child. With a daily Storytime at 11.00am it is a great place to enjoy some downtime with your children. 47 Harrogate Road, Chapel Allerton, Leeds, LS7 3PD. Learning to swim should be an enjoyable experience within a pleasant and safe environment. Swimbrite offers a wide variety of swimming lessons for all ages (from 6 months) and abilities operating the ASA’s National Plan. The Tennis Tots™ programme caters for children from 2-6 years of age incorporating the early years curriculum as part of the overall programme. Turtle Tots classes are for both toddlers and babies and teach children water confidence. Classes for babies, toddlers and pre-schoolers continue until your little one starts school. Contact Zoe on 07887 552 901 for details of classes and timetable. Learn to act, sing and dance in our fun-filled theatre school. Offering something for all children and teenagers. Training for professional performance, unlocking hidden talents, making friends, and developing valuable life skills such as interaction and confidence. We seek to inspire and nurture in a fun and friendly atmosphere. Wednesday – Cookridge Methodist Hall, classes for 4-7 years, 8-10 years and 11-18 years. Saturday -Abbey Grange Academy, classes for 4-7 years and 8-10 years. 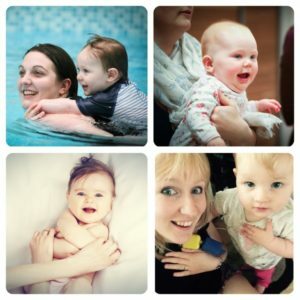 Water Babies runs fun, innovative baby swimming classes in Leeds. With a multi-award winning programme which teaches vital water confidence and safety skills from birth. YMCA Lawnswood offers Gymnastics and Tumbling classes from 3+. Classes run on a Monday, Tuesday, Friday and Saturday. A fun session to build confidence, co-ordination and fitness. 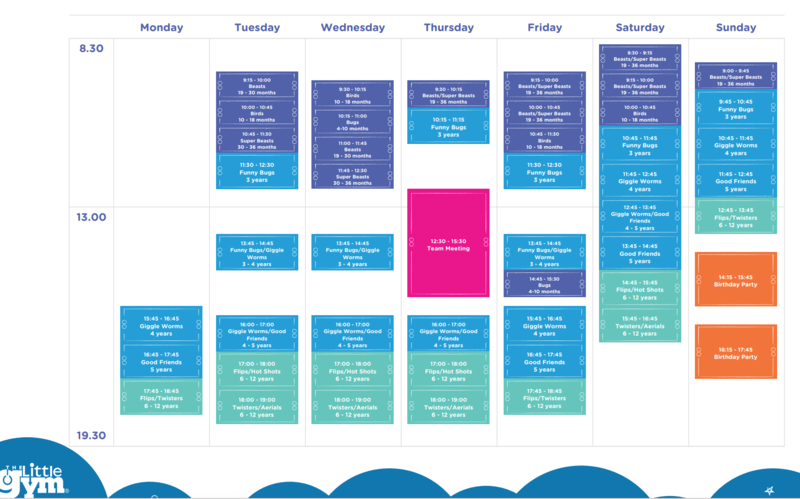 It gives parents the chance to connect with their children, and with other parents and tots, in a new way through structured movement and play. Saturday Superstars, 9:15 am, Drop in class.